This version of a traditional flat roman shade has concealed support rods at every pleat to fold neater and lie flatter than other roman shades. Classic Roman Shades work well with just about any fabric. 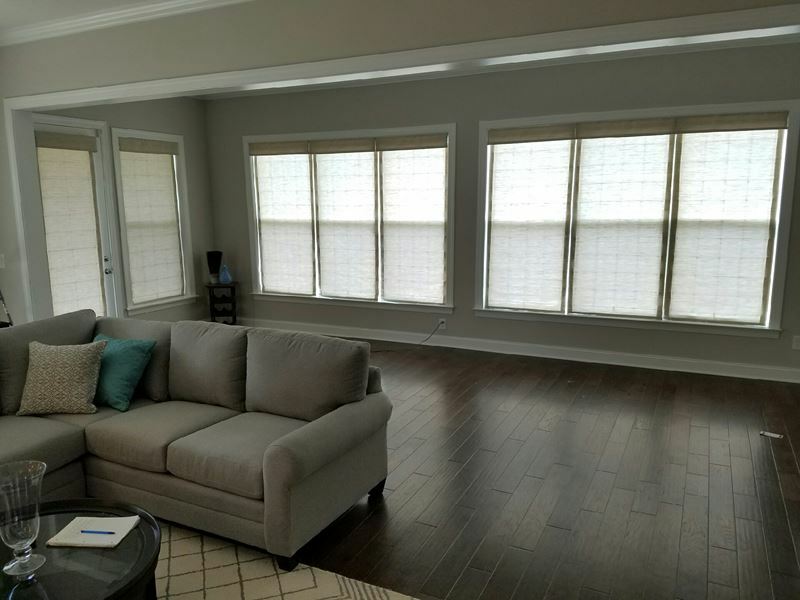 Our customer was extremely happy with the end results and the beautiful traditional soft look of the classic roman shades across an entire wall of windows. 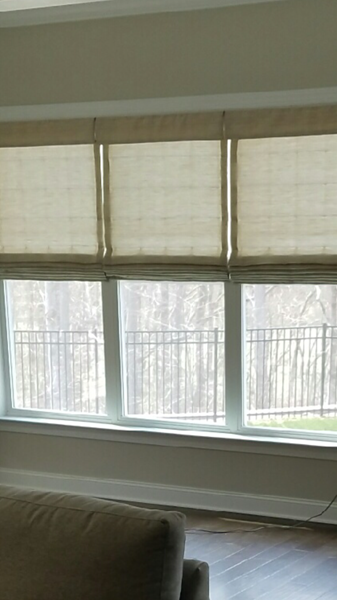 If you need Horizon Roman Shades Installed in Denver, NC, please call 704-980-4303 or complete our online request form.